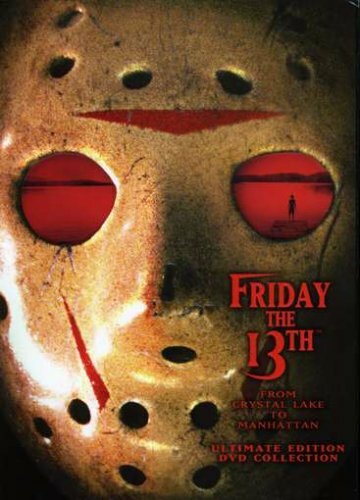 Friday the 13th: From Crystal Lake to Manhattan Ultimate Collection (Part 1 / Part 2 / Part 3 / Part IV: The Final Chapter / Part V: A New Beginning / Part VI: Jason Lives / Part VII: The New Blood / Part VIII: Jason Takes Manhattan) by Paramount Home Video at Chocolate Movie. MPN: PARD052334D. Hurry! Limited time offer. Offer valid only while supplies last.